Harry Reid thinks Americans are stupid. That’s why he believes that his lies about Romney not paying taxes for the last ten years are a positive for the Democrat party. Romney, who paid about $3 million in 2010, would have to have some pretty incredible accountants in order to not pay taxes considering how much wealth he has in investments making money for him. In fact, if Romney went ten years without paying taxes, his accountants probably should be in jail. We already know Harry Reid is lying because McCain vetted Romney and knows he paid taxes during that time. On the other hand, nobody has vetted Obama. We didn’t even see a valid birth certificate until last year. Obama should release his tax returns from 1980 to 1983. Why? Because he didn’t pay taxes during those years. In fact, its possible Obama didn’t pay taxes between 1985 and 1988 either. Actually, aside from a short one year stint at Business International Corporation and New York Public Interest Research Group, Obama didn’t have a real job for ten years after high school. Did he even file tax returns during that time? Perhaps to get the earned income tax credit. Obama should release his tax returns from the 1980s so that we can see if he paid a higher or lower rate than Mitt Romney when you look at their entire tax history. Just looking at Obama’s work and school history, it’s safe to assume he had a negative tax rate for much of the 80s. In other words, he didn’t pay anything in, but he got money back. Another valid question is whether Romney needs to release more tax returns when the one he has released shows more taxes in that one year than Obama has paid over the last ten years combined. 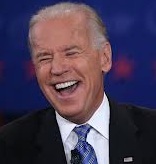 Or what about the Democrats who are calling for Romney’s tax returns? Pelosi won’t release hers. Harry Reid who himself is worth about $10 million won’t release his. But they’ll happily lie about Romney to try to get him to release his. Then there is the question of Obama’s college transcripts. Apparently Obama attended and graduated from Columbia University. At least that seems to be the case, although we do know he was not an honor student. Yet somehow, this young man who grew up on foodstamps and smoked his way through his first four years of college ended up at Harvard. How? No really. They don’t just let anyone into Harvard. Harry Reid is a disgrace. 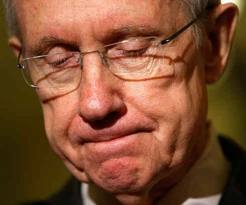 With his blatant lies about Romney not paying taxes for ten years, Harry Reid should resign. And Obama should pay back the taxpayers of the United States for the 1980s when he freeloaded off the tax system, paying nothing and taking refundable credits. Or he should release his 1980s tax returns (and college transcripts) and prove me wrong.